Lock in a great price for Villa Tokara – rated 9.6 by recent guests! The place is exactly as described. 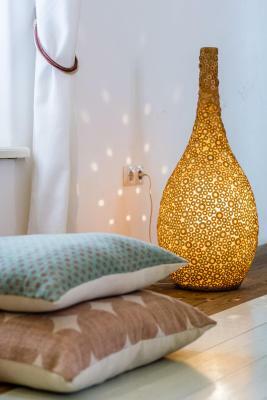 It’s charming, elegant and laid back. The top floor room is just lovely. Pool is great, brrakfast excellent. Local restaurants are beat on the island. The beach is across the street. Take your towel and $10 each and use the beach at Hotel Avila all day. 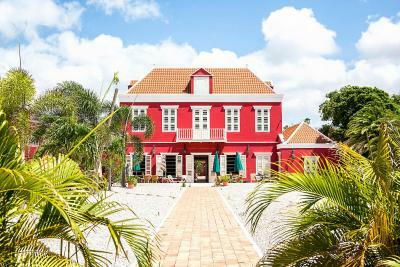 Hotel is really pretty (Curazao historic landmark) and owners are very friendly and very helpful. Always ready to give you advice and look around for you. 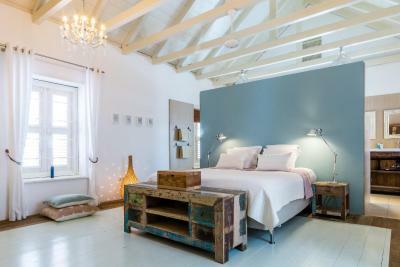 We had a wonderful time in Villa Tokara The place: a beautiful boutique hotel. 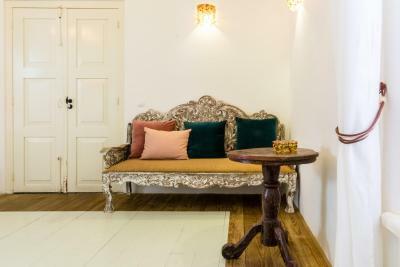 Starting with the most little details as the candles in the room, the shower gel to the great property’s facilities like the cozy room, the amazing pool and the delicious breakfast, every detail is high quality and well maintained. The host: Arriën is a wonderful welcoming host. 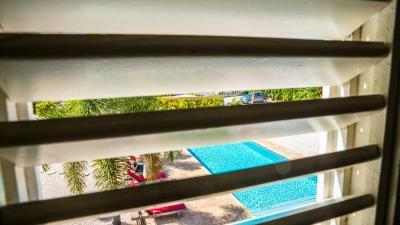 He helped us with transfers from the airport, connected us with a decent car rental company, booked for us the boat trip to Klein Curaçao (little Curacao), and gave us many recommendations for beaches, restaurants and more on the island. All of his recommendations were great and accurate. He’ve been there for 5 days and we’ve had a wonderful time. The croissants were flown in from France as frozen dough then fresh-baked...no difference from the "real" ones in Paris. Small size Inn, rooms are quiet and 200 meters or less puts you in one of five restaurants, all serving unique foods, each with their own personality. 15 minute walk into the main shopping area and many sights, 2 minutes to a shared beach. 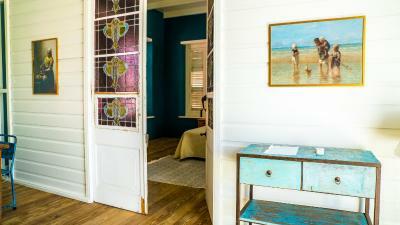 Inn owner is well informed as to island sights and can arrange a car pickup and drop off. Off-street, secure parking is provided. Taxi service from the airport is also available@ $USD 35.00. 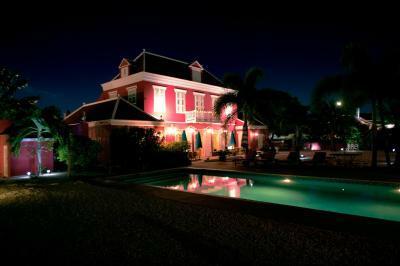 Nice sized pool in front the main house, its within the compound enclosing the entire property. There is a waterside Jazz-Blues Bar across the street, with live music on Thursday nights and good food. Villa Tokara is a very special place. 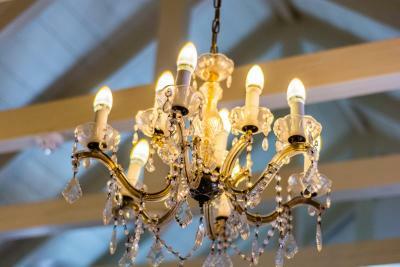 Not only is it beautiful, but comfortable and welcoming. Breakfast was very good (loved the warm croissants) and our hosts were wonderful. Really enjoyed our stay on this lovely island. 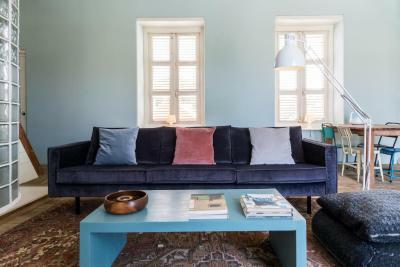 We love the villa with the cool interior. Arien was great and very helpful with everything! Very good breakfast! Also location was excellent. Very close to restaurants and beach. Amazing hospitality, Arriën made us feel at home straight away. 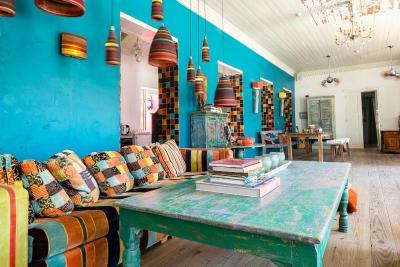 Beautiful house and even more beautiful room. My sister and I loved our stay at Villa Tokara! The location is really nice as it is close to the Pietemaai district and if you have a car all beaches are pretty close. The owner and his family are very welcoming and kind. The breakfast was also really good. I would definitely stay there again. 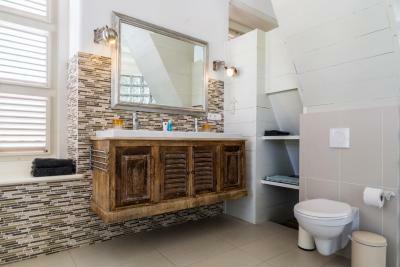 Villa Tokara This rating is a reflection of how the property compares to the industry standard when it comes to price, facilities and services available. It's based on a self-evaluation by the property. Use this rating to help choose your stay! One of our top picks in Willemstad – and a guest favorite. 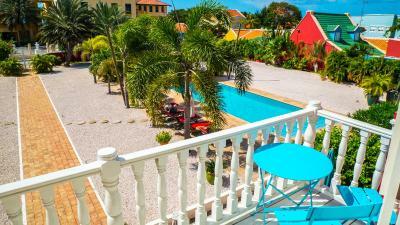 This charming boutique guest house is located about 350 feet of the sea, just a 15-minute walk from Willemstad’s historic old town. Set in gardens, Villa Tokara offers luxurious air-conditioned rooms and a large outdoor pool. 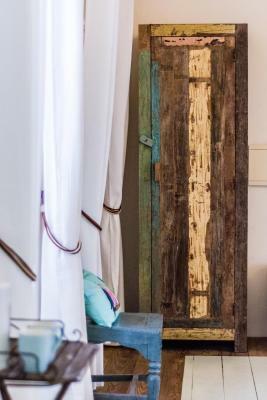 Rooms at Villa Tokara have elegant colorful décor. 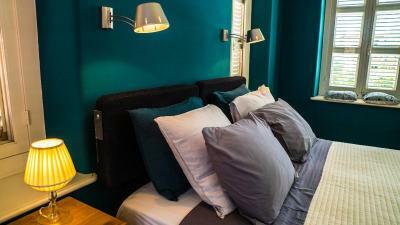 Each room features an iPod dock, free Wi-Fi, a flat-screen TV and a DVD player. 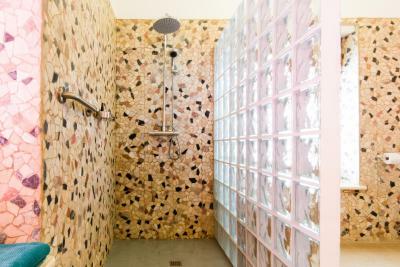 Bathrooms include a rain shower, bathrobes and a hairdryer. 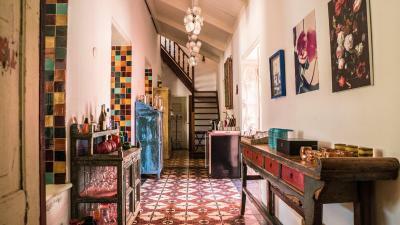 Villa Tokara is located in a residential area, within a 5-minute walk of several quaint restaurants. Free parking is available on site. Curaçao International Airport is 8.1 mi away. 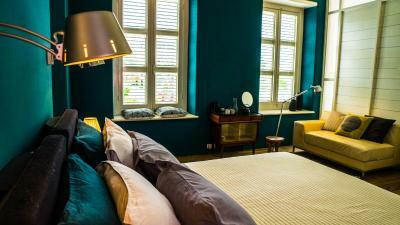 When would you like to stay at Villa Tokara? 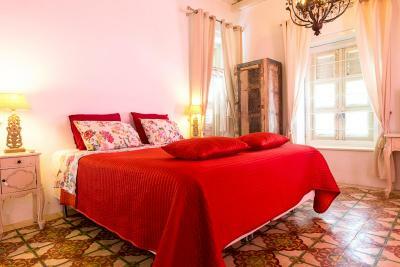 This spacious, air-conditioned room has high ceilings and elegant colorful décor. 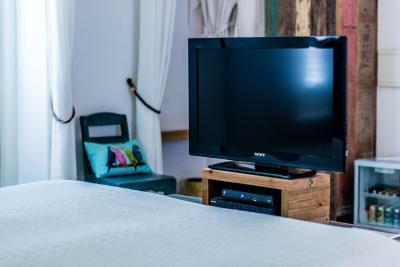 It features an iPod dock, free Wi-Fi, a flat-screen TV and a DVD player. 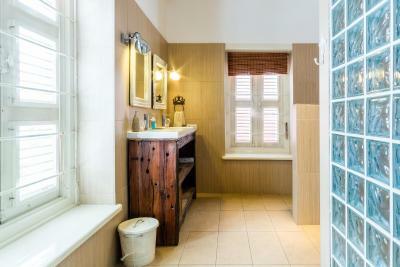 The open-plan bathroom includes a rain shower, bathrobes and a hairdryer. 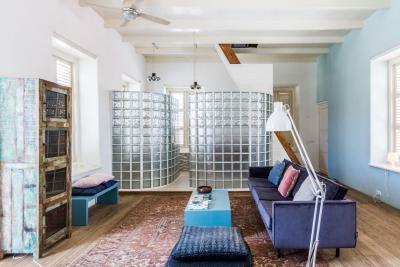 This spacious, air-conditioned family room has high ceilings and elegant colorful décor. 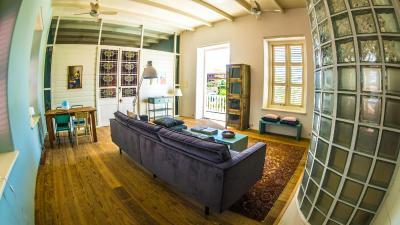 It has a large private terrace and features an iPod dock, free Wi-Fi, a flat-screen TV and a DVD player. 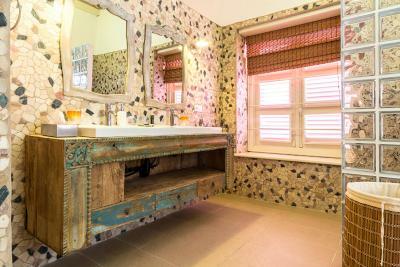 It includes 1 large and 1 small bedroom, connected via the bathroom which features a rain shower, bathrobes and a hairdryer. 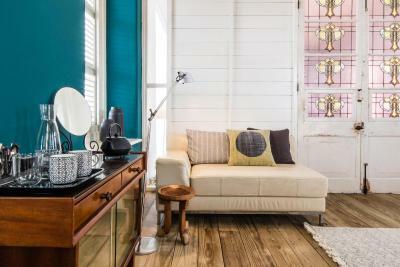 This air-conditioned room has elegant colorful décor. 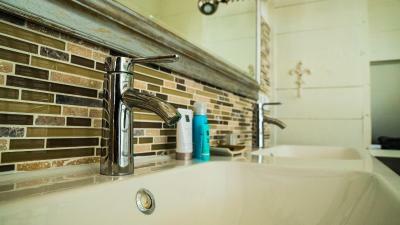 It features an iPod dock, free Wi-Fi, a flat-screen TV and a DVD player. 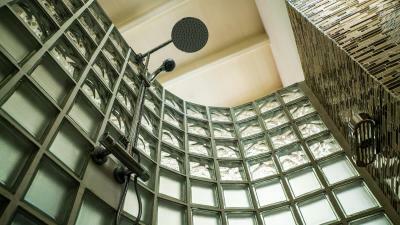 The bathroom includes a rain shower, bathrobes and a hairdryer. 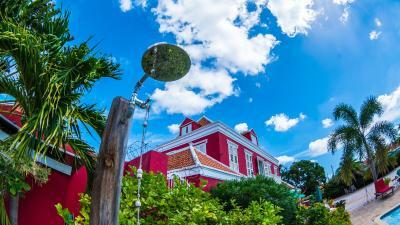 Villa Tokara is the most beautiful place to stay on Curacao. 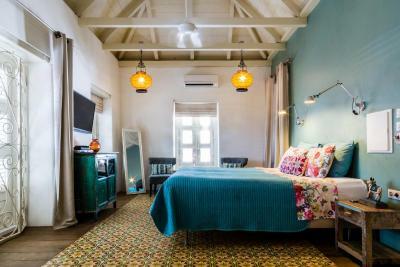 It is on of the few historic monuments that have been converted into a luxury boutique-style B&B and the only one located in the historic centre of Willemstad The monumental villa has only five guestrooms, great service and a delicious breakfast by the pool. It's right a the edge of Pietermaai, the recently renovated neighborhood with lots of great restaurants, nightlife and historic architecture to enjoy. 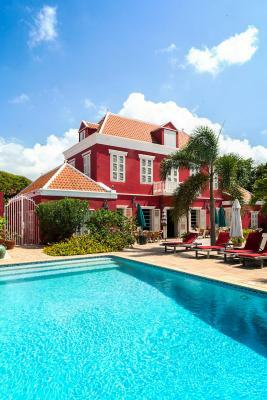 At walking distance is Punda, the oldest part of Willemstad. Across the street is the Caribbean sea. 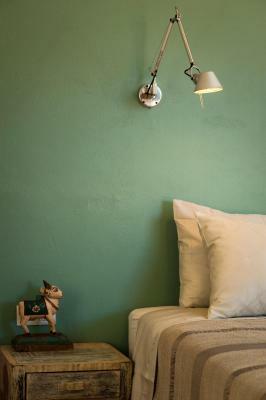 All guestrooms are beautifully decorated with love and care and approximately 40m2 in size. 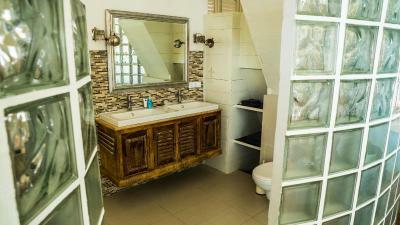 Bathrooms are large, have rain showers, double washbasins and all amenities. There's one family suites (the east room) with a separate bedroom with two single beds. This suite has a private patio too. 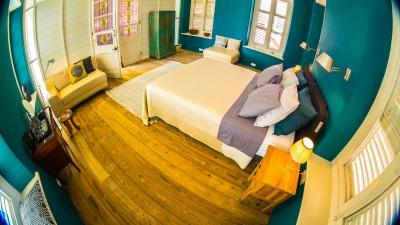 All rooms have large king size double beds. There's one smaller room: the patio room. 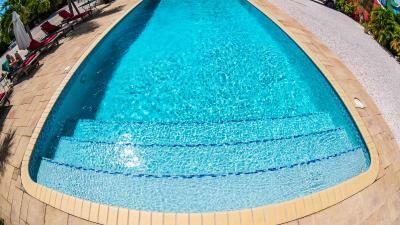 Guests have access to a large 13x6 m pool with sunbeds as well as plenty of shade. There are several terraces spread out over the property. There's a huge lobby/living room for all the guests. Private parking on site is available. House Rules Villa Tokara takes special requests – add in the next step! Villa Tokara accepts these cards and reserves the right to temporarily hold an amount prior to arrival. Kindly note that 30% of the total amount of the reservation may be charged in advance. Please provide Visa or Master Card details. Other cards are not accepted. An extra surcharge of the 3.75% applies when paying with Visa or Master Card. No surcharge applies when payment is made with Maestro bankcards. 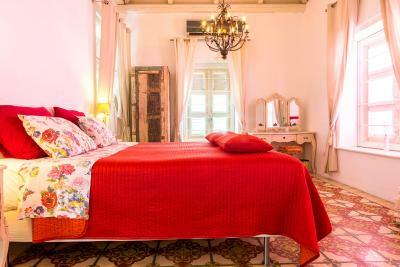 Very special villa lovingly cared for! The bed mattress was a little uncomfortable. Has a division in the middle so hard to sleep for a couple. 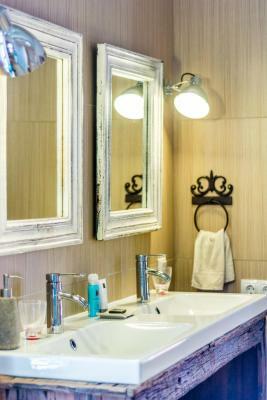 If you expect it to have all the amenities of a big corporate hotel you might be disappointed but if you are up for the boutique hotel experience you'll love the individual look and experience you'll have. 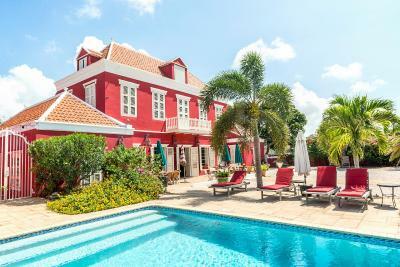 The house, garden and pool are just amazing beautiful! It feels like being in a design museum or live in one of the houses you usually just see in TV or magazines. 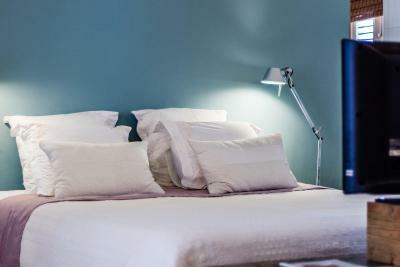 Everything is made very comfortabel, the bed, the linen, the bathing things (Rituals products), the couch in our room, just everything!! We really loved it! 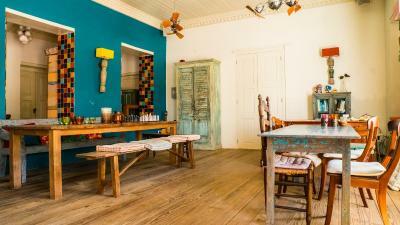 Our hosts were also very friendly, creative, very good cooks (best breakfast and coffee! 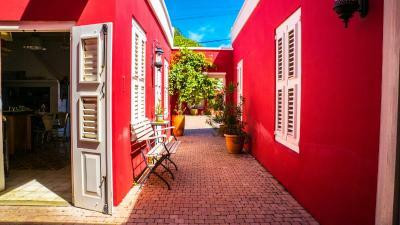 ), knowing much about history and architecture in Curacao and have plenty tips for trips and beaches! It was our honeymoon and we really felt very good and comfortabel in the Villa Tokara!! Thanks again, we missed nothing and enjoyed it soooo much!!! 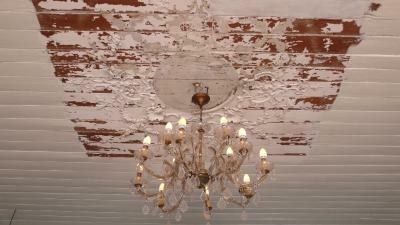 An Amazing colonial styled boutique hotel.. and nice restaurants close by. Unfortunately the town is not entirely safe after dark, so advisable to use a taxi to come back. Pity! Loved this place - we really wished we could have stayed here longer. 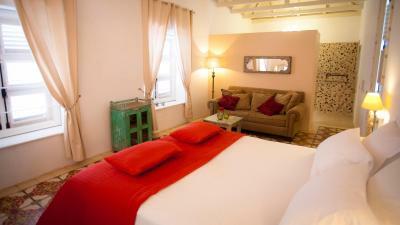 Arrïen was friendly, attentive and helpful and our large double room was spacious and clean. 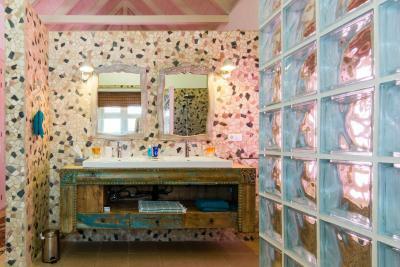 The property is beautiful with great attention to detail. Breakfast was great - bread served hot, croissants and fresh orange juice deserve special mention. Also good coffee. 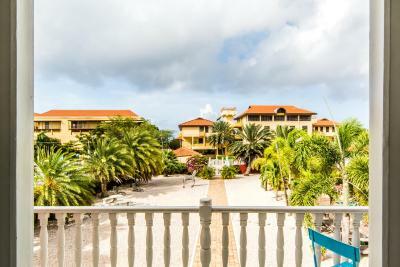 It was the best place we stayed at during our time in the ABC islands. 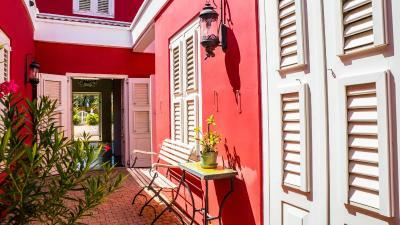 We would love to stay here again if we return to Curacao.